Our team of dedicated professionals have collectively advised clients in the international seafood and aquaculture industries on various corporate finance related transactions. We have developed a network among institutional and private investors in Iceland and abroad. Kjartan Olafsson holds a Master Degree in Fishery Science from the University of Tromsoe with emphasis on economy and finance. Olafsson joined the Icelandic Investment bank (FBA) in 1999 working on seafood feasibility studies in Europe and the Americas. Olafsson was a Senior Business Manager with Glitnir from 2004 building up a seafood investment portfolio of USD 2.4 bn. Olafsson was based in Norway from 2004 where he led the Norwegian seafood team mainly focusing on financial advisory and equity capital markets. 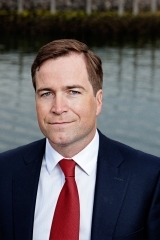 With Glitnir Olafsson played a key role in the development of the Glitnir seafood niche strategy and became head of the Global Seafood team in 2008. He was actively involved in many of the most prestigious seafood transactions within Glitnir providing a wide range of financial services to companies such as; American Seafoods Group LLC, Aker Seafoods ASA, Cooke Aquaculture Inc, Samherji hf, Sildarvinnslan hf and the Initial Public Offering of Rem Offshore ASA, Copeinca SA, Camposol SA , Norway Pelagic ASA and various other trade sales and Private Placements in the sector. Kjartan Olafsson has concluded several senior credit analysis and negotiation courses from DC Gardner Training and Euromoney. Kjartan holds a Certificate of Authorization from the Norwegian Securities Dealers Association for Corporate Finance activities in the Norwegian capital market. Kjartan has participated in several maritime projects for the Icelandic Ministry of Fisheries as well as working with The Norwegian Financial Services Association. 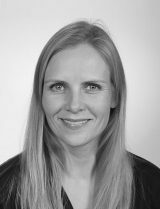 Halldóra Kristjánsdóttir holds an MBA degree in international business administration from the University of Reykjavik from 2003. Halldora also studied foreign languages and literature at Universitá degli Studi di Perugia in Italy for several years and completed the BA degree in English from the University of Iceland from 1999. Halldóra worked on sales and marketing of business solutions for the software company Maritech up to 2005. She lived in Norway to 2008, working at various developments projects. Halldóra is the cofounder of Markó Partners. Rafael Merino holds an LL.M. degree in Natural Resources Law and International Environmental Law from the University of Iceland. He also studied International Business Administration and Management in the European Business School and completed the BA degree in Law from the University of Barcelona. 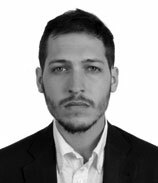 Rafael Merino has experience in business development projects, research and legal counselling. His primary responsibilities are M&A activities and legal consulting.